At the United Nations General Assembly today, September 25th, 193 world leaders will commit to 17 Global Goals to end extreme poverty, abolish inequality and save our planet -- in the next 15 years. At FEED, we talk every day about Global Goal 2, which is to live in a world with zero hunger. And if you’ve ever purchased a FEED product, you’ve helped work to achieve that goal. As with ending hunger, there is much to be done for each of these goals. There are also many ways to get involved. Because the goals can feel a little bit overwhelming, we wanted to talk to someone who really understands their implications. Economist John McArthur is answering some of our most pressing questions about the importance of today, and how we can all participate in being the first generation to end extreme poverty. We were really inspired by what John shared with us. Read on to learn more! What does it look like for someone to be living in extreme poverty? The simplest way to think about extreme poverty is living on less than a dollar a day. It means having pretty much no income and very few or no assets, because you have no money to save and invest. It also means living somewhat beyond the reach of normal market forces, since businesses don't spend much time trying to sell products and services to people with no money to buy them. In practical terms, the majority of people still enduring extreme poverty live on farms, growing food for a living, most of which they consume themselves. They often struggle with undernourishment – meaning not enough reliable calories – and might be hungry much of the time. Living on the thinnest of margins, there is very limited capacity to cope with life’s natural ups and downs, like accidents or illnesses. A single mosquito bite can actually be enough to kill you if you can't afford to pay for very simple medicine. And a mother typically won't be to go to a clinic to have a baby if she can't afford to pay for the surgical gloves that the health workers need to wear. It’s against that backdrop that I often actually consider people living in extreme poverty to be many of the most courageous and inspiring people on earth. They embody the power of human resilience in making the most of even the most difficult circumstances we might be able to imagine. On a very hopeful note, we’ve seen the extreme poverty rate along with global hunger go down over the past two decades. What forces have contributed to that decline? Different factors have been at play in different parts of the world. It’s a complex story that I might simplify as boiling down to a few key factors. The first is improved farm productivity, which helps families generate a surplus beyond what they need to eat themselves. This can kick start a bunch of positive economic dynamics, like saving, investing, and freeing up time to work on higher earning activities. It also generates more food for the local economy, which helps to keep food affordable for buyers and in turn promotes diversification in to different types of food production and consumption. A second factor is improved safety nets in countries as diverse as Ethiopia and Brazil. In some places these might lend a hand to families during the lean season – like right before the harvest when food stocks are low – while in others they might provide income support or school meals for families that are struggling more generally. A third factor is the indirect pathway of improved health and nutrition, which translates to more and better nutrients absorbed per calorie of food consumed. The past generation’s global expansion of basic health services and better drinking water have probably played important roles. Looking forward, what will it take from the global community to eliminate extreme poverty and when do you think we will get there? Again, there are no single answers here, but I will take a crack at distilling everything down to three issues. First, we need to help boost farm productivity in places that are still stuck on the economic ground floor, especially in sub-Saharan Africa. That’s the one part of the world where most people still live on small farms that are not very productive. Progress will often hinge on very basic things like adequate access to irrigation, plant nutrients, and modern seeds, plus ample physical connectivity to markets. Second, we need to find ways to mitigate the risks and strains of violent conflict, since much of the world’s “last mile” challenge on extreme poverty will come down to the so-called “fragile states” that have suffered from violence. However, it turns out that in many countries a big part of reducing the risk of conflict hinges on strengthening farm productivity, although each society of course has its own unique sources of social tensions. Third, there is growing evidence that one good way to support the poorest people on the planet is simply to give them a little bit of money. With the incredible spread of mobile phone-based internet, I think we need to keep pushing the frontiers of digital technologies to see how we can provide at least a minimal subsistence income to the most disconnect people on the planet. By one estimate this might cost as little as one-tenth of one percent of the rich world’s annual income. For someone who is just joining the conversation about the new Global Goals, can you share a brief history? Who decides what the goals are keeps the global community accountable for working toward solutions? The new goals are successors to the Millennium Development Goals, a set of eight anti-poverty targets first established in 2000 with a deadline of this year, 2015. Roughly speaking, the MDGs aimed to cut the many dimensions of extreme poverty by half by 2015. They helped spur major gains in some crucial areas, most notably health, alongside important advances in education and hunger. Recognizing the momentum that had been built up globally around the MDGs, a few years ago the UN decided to initiate a global conversation on how to set a next set of goals to guide international cooperation from 2015 through 2030. They wanted the new goals to speak to the world’s ever-evolving needs, so UN Secretary-General Ban Ki-moon launched what became the most inclusive global agenda-setting process the world has ever seen. Millions of people around the world have weighed in. Over the course of extensive negotiations, consensus emerged around a few priorities. The top one was to tackle the “second half” of extreme poverty and finish the job by 2030. Another one was to recognized the “second half” of the issues, including a more concerted effort to address the broad cross-section of economic, social and environmental challenges that the world is facing, ranging from peace and security to jobs and successful cities to clean energy, stable climate and protected oceans. In the course of deliberating these issues, people started to realize that distinctions between “developing” and “developed” countries isn’t really applicable anymore. These issues apply to all countries in some form. 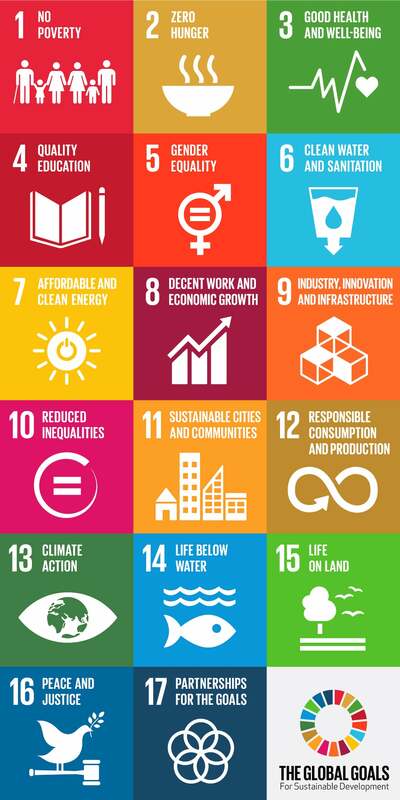 Thus was born the “universal” agenda for the new global goals. What is something everyone can do right now to help end extreme poverty and hunger? Support FEED! Very seriously, I am personally proud to support FEED’s work in helping get quality meals to those who need it most. People can also dedicate themselves to becoming as expert as possible on the relevant topics, in order to help inform everyone around you – whether that is your family, your community, your school, or your company. Ultimately we need to ensure our governments are doing their jobs with smart policies and adequate scale of investments, but very often it’s the companies, students, scientists, and social entrepreneurs who figure out the new way of doing business that breaks down old barriers. There is nothing like leadership-by-example to persuade governments to step up. The goals will count on it from all of us.